Ankle-cut skinny jeans get a punky reboot with raw-edge slit cuffs that are traced in high-shine polished grommets. 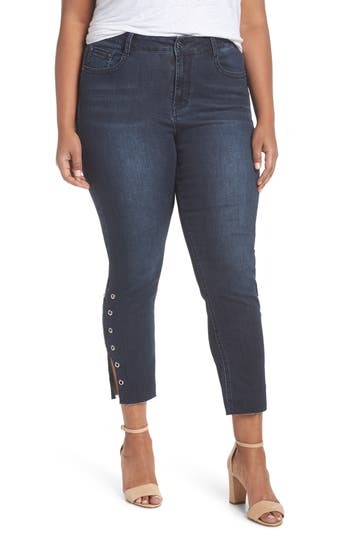 Style Name: Seven7 Grommet Slit Hem Ankle Skinny Jeans (Plus Size). Style Number: 5605854. Available in stores.